Two weeks ago at DotNetNuke World, attendees had a chance to hear from many great speakers. One of the new sessions this year followed the format from IgniteShow.com. This format allows for a greater number of speakers and a little wider scope of topics. Because of the somewhat chaotic nature of the Ignite session, it generally has a higher level of energy. Even if the attendees don’t care for one speaker, just wait a couple of minutes and a new speaker will be on stage. This was a great way to close out the conference and was completely different from anything I had previously seen at other conferences. I was very proud of the speakers we had in the ignite session who spoke on such far ranging topics as Star Trek, moustaches, grandmothers, volunteerism, and the history of DotNetNuke, among others. Some sessions were funny and some were serious but all of them were outstanding. 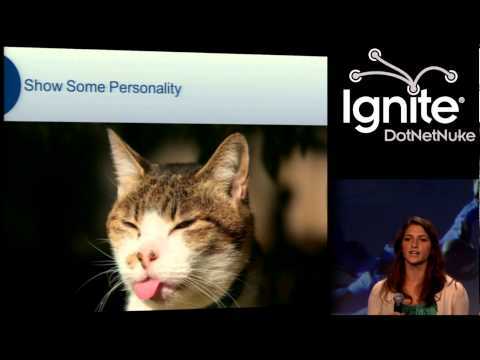 You can find the videos on the Ignite page on the DNN World site.